K is quite a character. She lives large and casts a shadow. Phosphorus Dihydride sports a shadow plus fine outlines, because K is also vulnerable (if only to n). 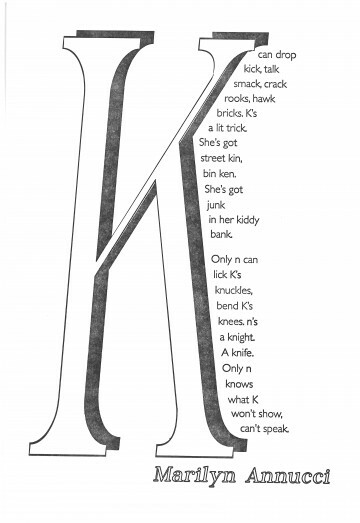 For the body of her no-nonsense portrait, K needed a sans serif typeface of the same weight as her outline. Gil Sans slides nicely along her side, an entourage of letters without shadows, following K’s every move.